Fox Business Network is an American pay television business news channel that is owned by the Fox News Group division of Fox Corporation. The network discusses business and financial news. Day-to-day operations are run by Kevin Magee, executive vice president of Fox News; Neil Cavuto manages content and business news coverage. 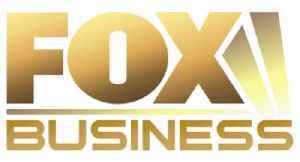 As of February 2015, Fox Business Network is available to approximately 74,224,000 pay television households in the United States.